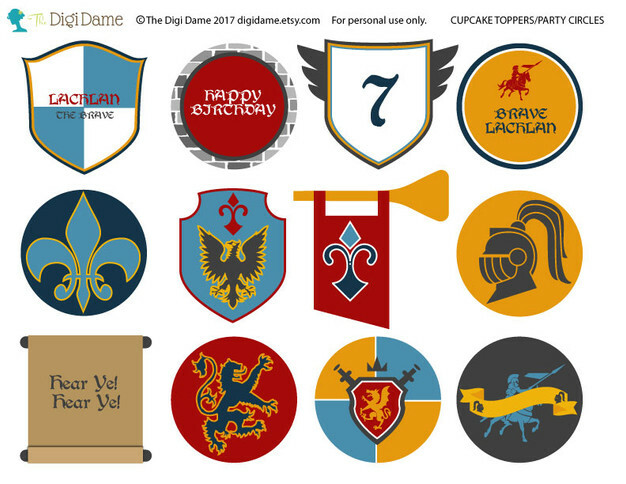 Every party printables pack from The Digi Dame Party Shoppe contains at least one page of cupcake toppers - usually a dozen toppers in a pack. In this tutorial, we will be discussing how to create your editable toppers - from opening the file in Adobe Reader, through to assembling them after printing. If you have purchased cupcake toppers that are not editable, the instructions on printing and assembly will still be helpful to you, so read on! 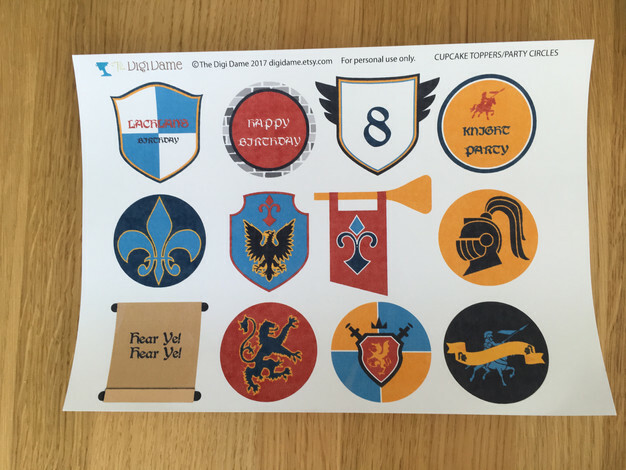 The example we have used here is the cupcake toppers from our Medieval Knight Party Printables Pack. Now, with that out of the way, let's get this party (tutorial) started! 4. Highlight our sample text by clicking and swiping over it. 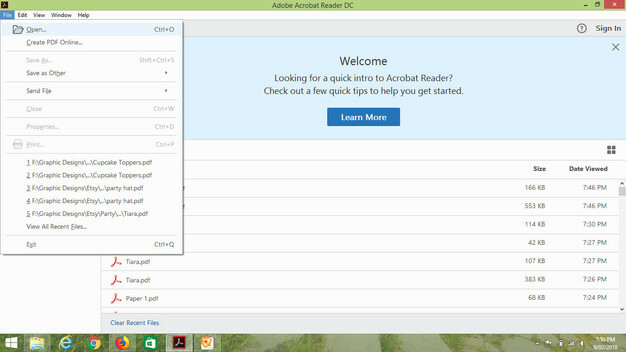 Then you can either click on your delete button to clear our text, or simply type your own text over the top of our sample text. As you begin typing, your text will appear, as below. 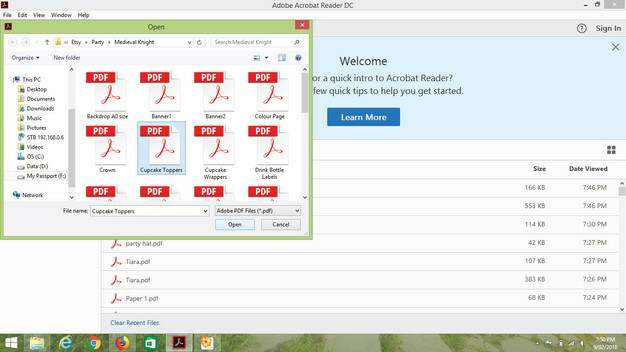 Make sure your text fits inside the box, or it will not be visible when the file prints. 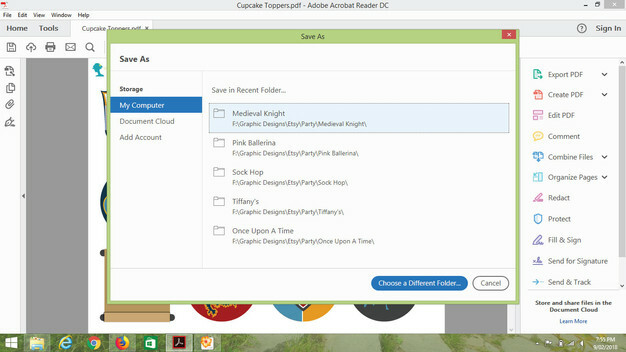 When you have filled in all the fields as desired, then you can choose to save or print your invitations. 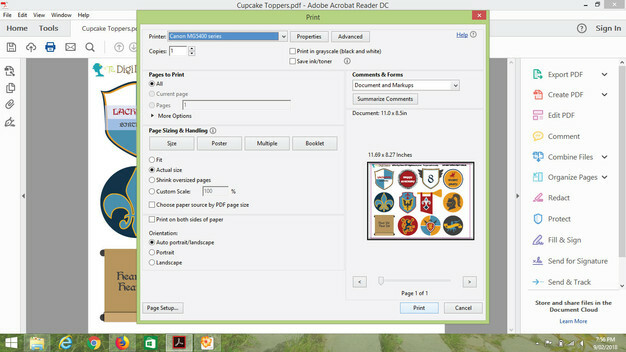 Your cupcake toppers file will print on one page, as shown below. 7. 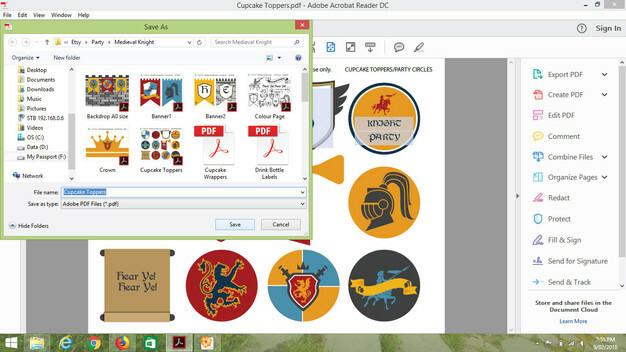 Cut out each of your toppers using either a round punch or scissors, as shown in the images below. Next, use glue or tape to attach your lollipop sticks or toothpicks to the back of your toppers. You can cover the sticks with a plain circle the same size as your topper, if desired (optional). 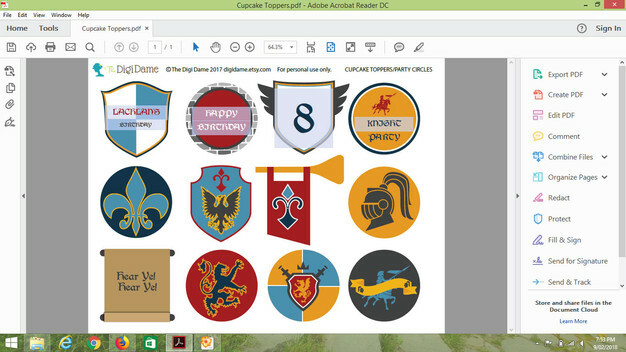 And now your personalized cupcake toppers are ready to insert into a delicious iced cupcake! 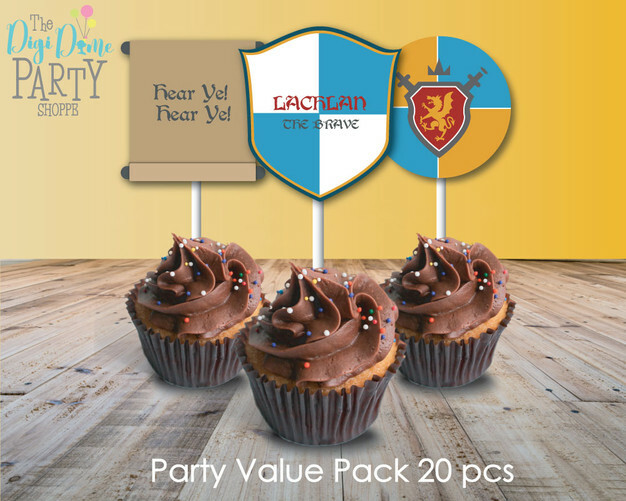 But that is not all - you can use your toppers as stickers if you print onto sticker paper, or envelope labels or other decorations. The only limit is your creativity. 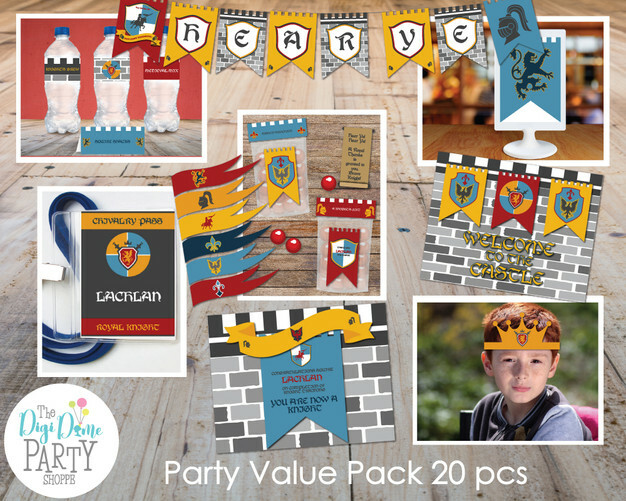 For more ideas on how to use our party printables, visit this post.